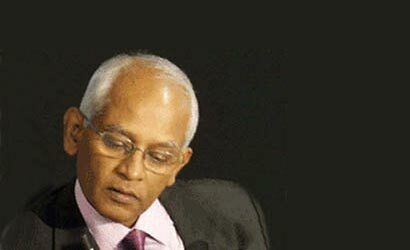 Former Secretary to the President Lalith Weeratunga is currently giving a statement at the special investigations unit regarding alleged financial fraud at the Reconstruction and Development Agency (RADA), police said. Last week, police SIU arrested the former Chief Operating Officer (COO) of RADA, Saliya Wickramasuriya, over alleged fraud in tsunami housing funds. He is charged with cheating Rs 169 million from funds received to build houses for people in the North and East, who lost their homes due to the devastating Boxing Day tsunami in 2004. He was remanded until until May 19 after being produced before the Colombo Fort Magistrate yesterday. Wickramasuriya had also served as Chairman of the Board of Investment (BOI) before being appointed as Chief Operating Officer of the Reconstruction and Development Agency (RADA), which was overseeing post tsunami rebuilding work.